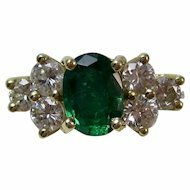 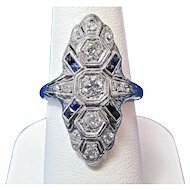 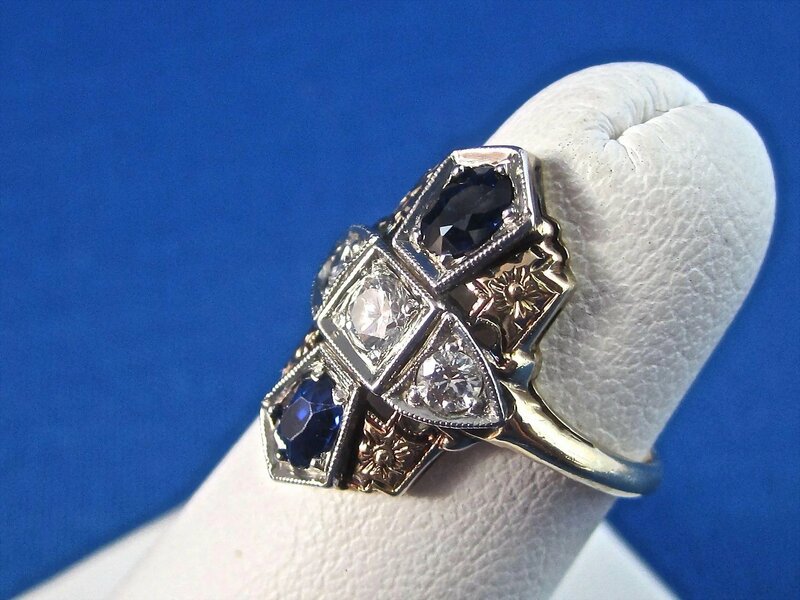 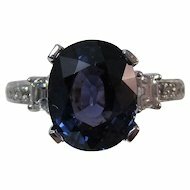 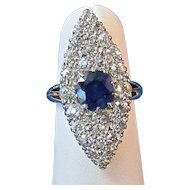 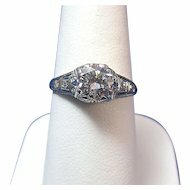 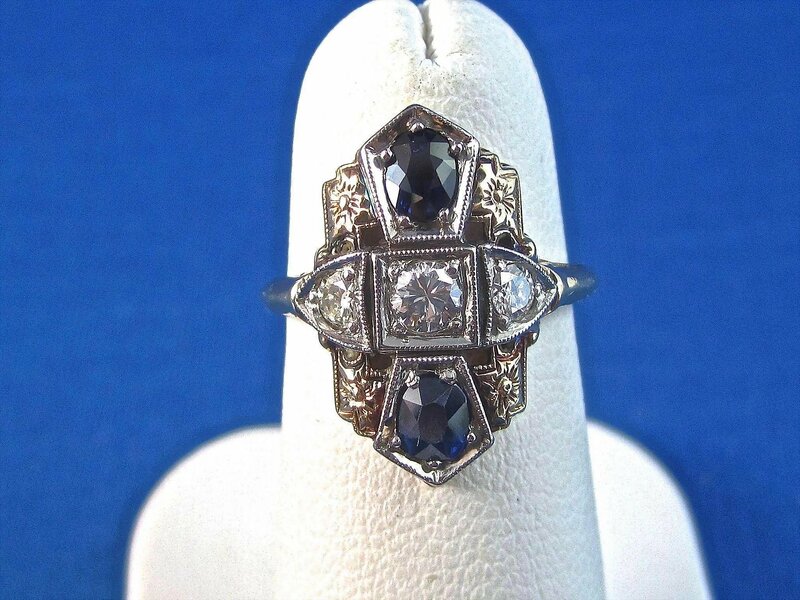 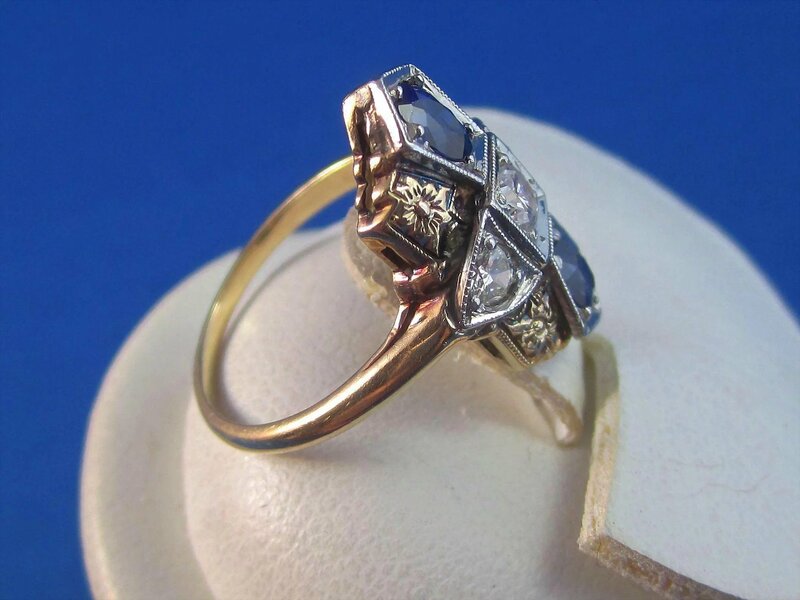 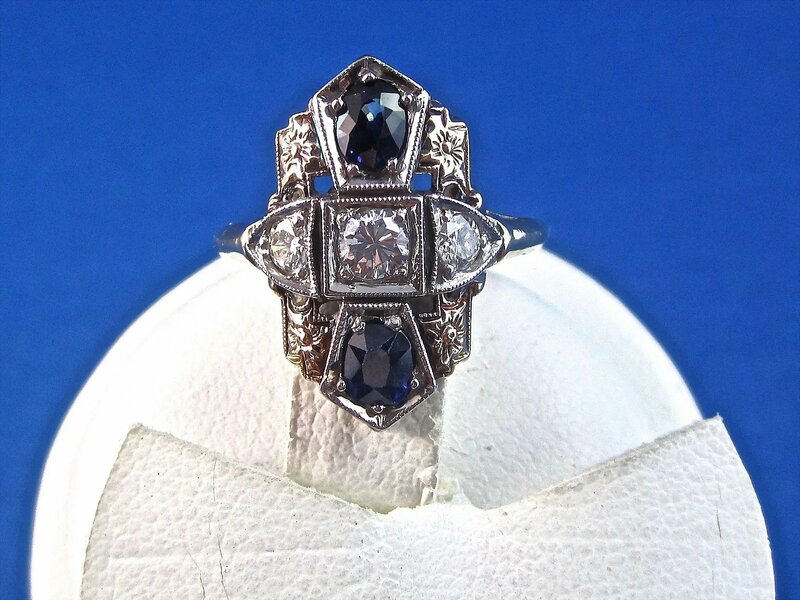 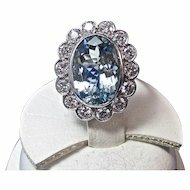 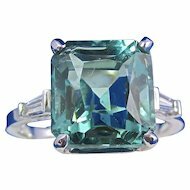 What a perfect Art Deco engagement ring this is, if you are looking for a vintage sapphire & diamond wedding or engagement ring! 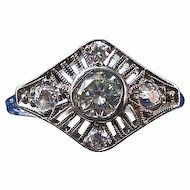 Or if you are a September baby like me, this ring is perfect as a right hand ring to wear each and every day. 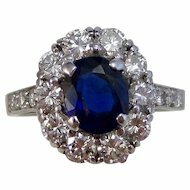 The gorgeous diamonds, set with beautiful natural sapphires, with mill grained trim throughout, set in luxurious 14K yellow gold make this ring very special! 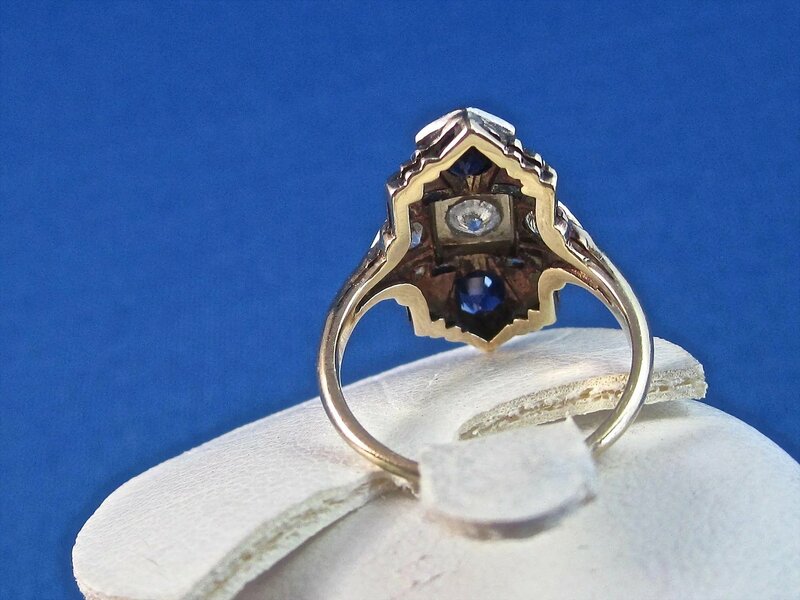 Here are two prong set oval modified brilliant cut natural blue sapphires, type II, medium dark saturation, slightly violetish blue in color, with a good cut, and eye clean clarity. 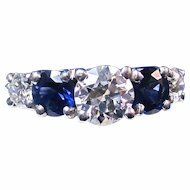 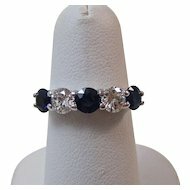 The sapphires weigh approximately 56/100 of a carat. 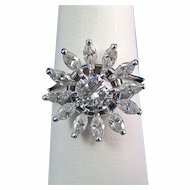 In the center of the ring are three prong set round brilliant cut diamonds, all with lovely bright H-I color, beautiful sparkling SI2 clarity, with a good cut. 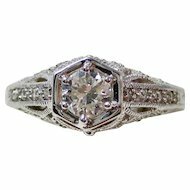 The center stone weighs approximately 15/100 of a carat, while the other two weigh approximately 14/100 of a carat, for a total diamond weight of 29/100 of a carat. 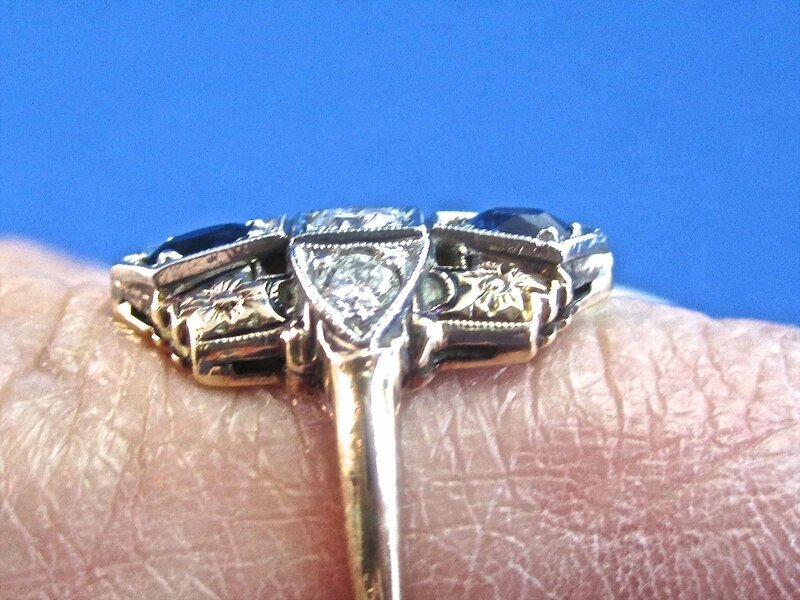 Set in a tested 14K yellow & white gold, this ring has 58.3% fineness of pure gold, with mill grained trim throughout, and flowers set in yellow gold......so beautiful! 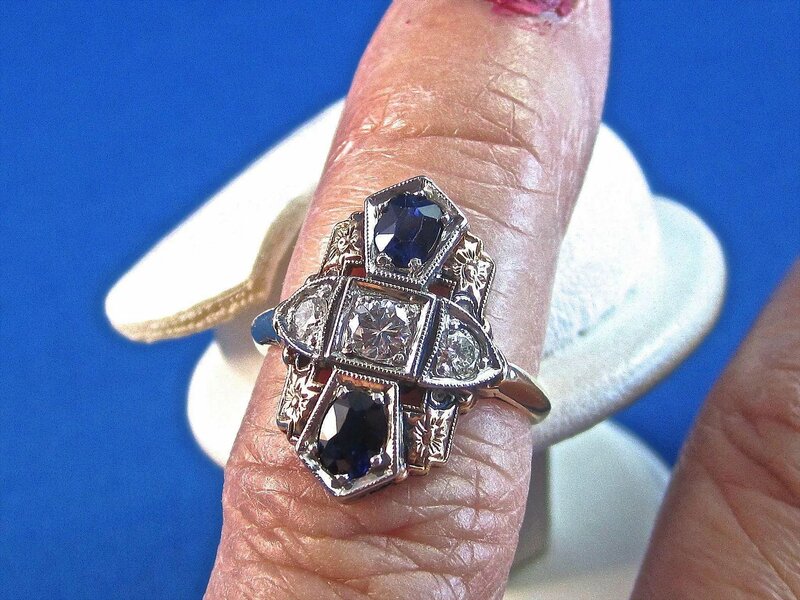 The ring measures 3/4 of an inch from top to bottom, 9/16ths of an inch from east to west. 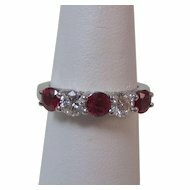 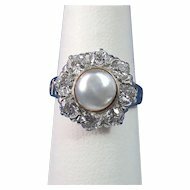 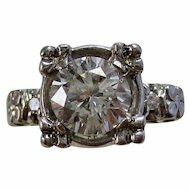 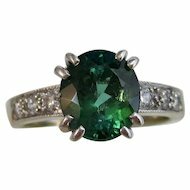 The ring is 5 1/4 ring size, which can be easily sized up or down by a good jeweler. 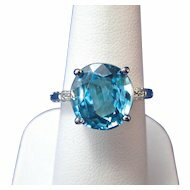 The total piece weighs 2.60 grams.